High performance and comfort, the Greenback is easy on the wallet and loaded with features. Korkers' OmniTrax® Interchangeable Sole System can adapt your traction to any fishing condition and offers ultimate versatility. High performance and comfort, the Greenback is easy on the wallet and loaded with features. 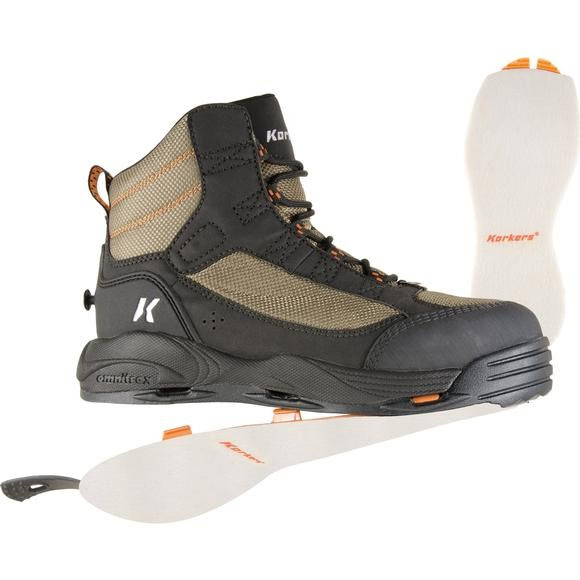 Korkers&apos; OmniTrax® Interchangeable Sole System can adapt your traction to any fishing condition and offers ultimate versatility.